Duluth officials say it's not a question of whether the tree-killing emerald ash borer crosses the St. Louis River, but when. The pest was found in neighboring Superior, Wis., Wisconsin officials said Thursday as they ordered a county-wide quarantine. It's killed millions of ash trees in the Midwest since it was discovered in Michigan about a decade ago and in the Twin Cities in 2009. Duluth has identified 4,500 ash trees on city boulevards and there may be tens of thousands more within the city's borders on private property and public lands, said Kelly Fleissner, Duluth's maintenance operations manager and former forester. It's not clear how the borer made its way so far north so fast. The critters can't fly very far so they usually travel from one location to the next on infected ash wood, usually firewood, moved by people, he added. Wisconsin's quarantine restricts the movement of ash wood to non-infected areas. Minnesota has similar quarantines in Ramsey and Hennepin counties in the metro area, and Houston and Winona counties in the southeast. That's helped slow the spread of the insect. Minnesota's Agriculture Department has also worked with cities to remove infected trees and treat others with insecticide that can be injected into stems, sprayed on bark or applied to the soil around the roots. That's proved effective at killing emerald ash borers that try to feed on the plant, but it costs anywhere from tens to hundreds of dollars per tree. 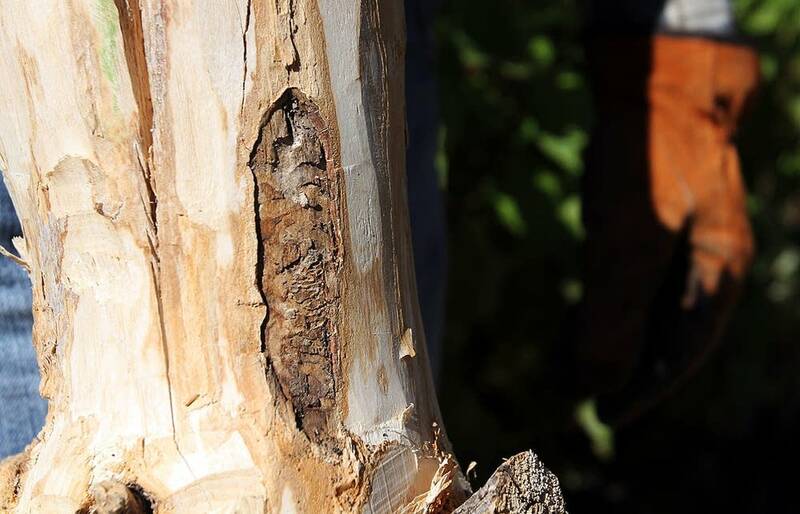 People need to be trained to identify infected trees, and report them -- and citizens need to be careful when moving wood, said Mark Abrahamson, an entomologist with the Minnesota Department of Agriculture. 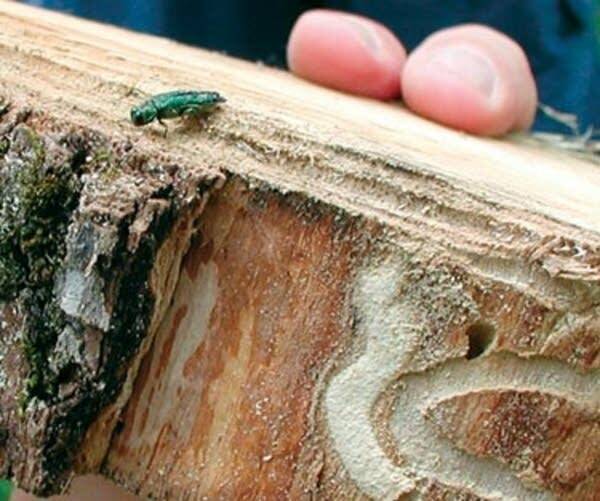 In Superior, he said, "last week, we didn't know emerald ash borer was there, and people could have been taking firewood from there and inadvertently taking this insect along with them. So anywhere you are, you should be careful about where you're bringing wood." Fleissner says Duluth citizens will be trained to identify the insect so the city can respond quickly when it arrives. Infected cities have had to spend millions to take down trees killed by the ash borer, he said. There's no choice. "When they die they become hazardous rather quickly."